Goji Berries are one of the “most nutritionally rich foods on earth”, Goji Berriesand they contain beta-carotene and zeaxanthin as well. 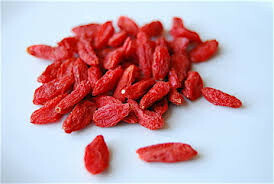 Our goji berries are organically cultivated, harvested and sundried to maintain their potent raw qualities. Available by 100g and 250g, propper sealed.